India offers a complete package of culture & heritage with glory and grandeur in every big & small city. With countless places to visit that boasts about the varying culture, traditions, flora, and fauna, India has made its position among the most popular tourist destinations in the world. And if you also want to visit the best parts of India then instead of roaming here & there in the hunt of best tour packages, you should go for Golden Triangle Tour Packages for Holidays Trip in India. So, let’s explore the best Golden Triangle Tour Package. What are the Golden Triangle Tour Packages? 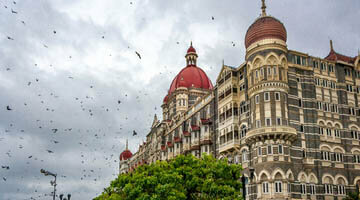 It is the best way to visit famous tourist places in India, and perfect for the first time travelers in India. 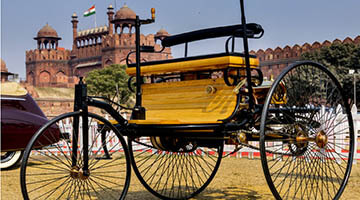 Generally, Golden Triangle India Tour Package covers 3 most popular destination starts from Delhi, then Agra, Jaipur and ends on again in Delhi. This tour package offers you an opportunity to experience the local culture along with visit of finest monuments like Taj Mahal, Lal Quila, Agra Fort, and many others. 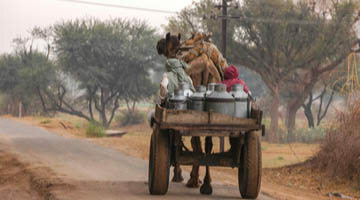 You could also modify your holiday trip to India as you want it. Why all tourists commonly want to get Golden Triangle Tour Packages as their first travelling experience? It is the best way to visit the top tourist attraction of North India, without miss any single place and make journey memorable and awe-inspiring. 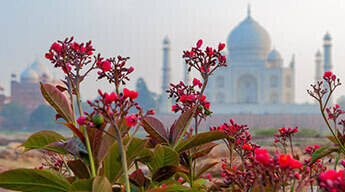 This escorted tours India Golden Triangle connects Delhi, Agra, and Jaipur and covers the most popular and important tourist places of this part of India. Most people prefer to choose this package to get root knowledge of India before going for the other deep parts of India. The Golden triangle holiday package is the most preferred tourist route to get you familiar to the best of India. Explore the diversity and magnificence of Delhi; the vibrancy of Agra and the colorful culture and taste Jaipur with Unique India Tour’s special Golden triangle travel packages. With its unique cultural, architectural, natural and historical observations, India places itself as one of the most visited place on Earth. Golden Triangle is at the central place and gives to its visitor a deep understanding of India in a short span of time. From the historical monuments of Delhi to the enthralling architectural sites of Jaipur to the beautiful monument of Taj Mahal in Agra, this Journey offers the best cultural experience in India. Golden Triangle Tours is the most looked after circuit tours in India, which comprises of some beautiful sights like Humayun's Tomb and the Red Fort in Delhi, Taj Mahal and Agra Fort in Agra and Hawa Mahal and Amber Fort in Jaipur. This circuit also comprises some sites of great historical significance like Fatehpur Sikri and Abhaneri Step well en-route between Agra and Jaipur which are included in package as per desire. These three locations of Golden Triangle Tour form as Triangle when seen on map. For all the travelers who would like to know the history of the place, it can be best experienced with package holidays to India Golden Triangle offered by Unique India Tours. The packages offered by us are also inclusive of spending time in the remote area of Shekhawati which comprises of highly decorated houses. You may also choose to go on a tiger safari in Ranthambore National Park; visit the holy temples of Varanasi and indulge in water sports activities in Goa. 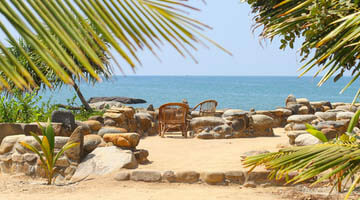 The tour package provided by Unique India Tours can be customized as per your desires. Golden Triangle tour packages have plenty to offer in terms of tourism, be it history or structural design or absolute beauty of the ancient buildings. Best golden triangle tour grants a lot of flexibility as Delhi, Agra and Jaipur is almost equidistant from each other - approx 200 - 250 kilometers which take 4 to 5 hours travel. Mathura & Vrindavan also known as the abode of Lord Krishna, and Fatehpur Sikri can be visited en route. 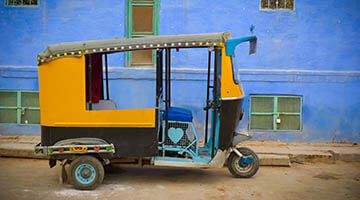 Smooth connectivity as lots of trains, luxury buses, private cabs, and even flights are available between Delhi & Jaipur. 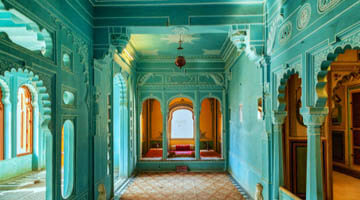 Varieties of hotels as per your budget and needs, especially in Delhi, Agra, and Jaipur. 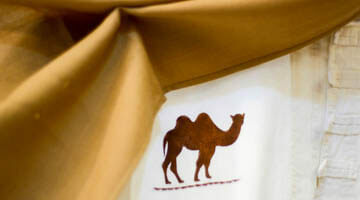 Here you have lots of options for shopping in handicrafts, local sweets, and clothes etc. No matter, you are in Delhi, Agra or Jaipur there are so many famous big & small markets where tourist can buy things at a very reasonable price. Your main concern is the food quality and taste, so there are many best hotels, restaurants, and dhabas who present varieties of multi-cuisine foods with complete hygiene. Don’t forget to buy Agra ka panchi petha and Mathura ke pede for taste unique flavor. New Yamuna Expressway gives smooth and 2 hours drive between Delhi & Agra. 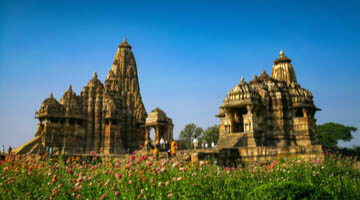 The best golden triangle tour offered by Unique India Tours are not limited to these cities only, but you can also tailor your sightsee and it can also be comprehensive with the addition of wildlife tour & heritage tour of Rajasthan or exploring ancient temples & religion centers such as Khajuraho and Banaras as well as, fun-filled Goa and a choice of other cities. 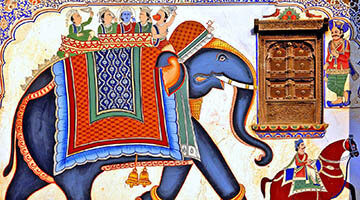 Through Unique India Tours’ professional and client’s friendly service, we seek to make the best of your holidays to India Golden Triangle, to make it an enjoyable experience of your life. But with this special package, you will be experiencing the pleasure of cultural study of our country and many other different experiences. These routes are planned by our site experts, which can be altered any time as per your requirement, demand, and budget. Are you ready to experience the cultural and the historical significance of the Golden Triangle? Our Golden Triangle tou..
India one of the most desirable country in the bucket list of global travelers, thanks to the wide range of options in amazing t..
Do you want to see the captivating view of Taj Mahal changing its tone in the different time of the day, do you want to know wha..
India is an only country with different colors, traditions, languages, religions, and cultures etc. You cannot find this diversity anywhere else and the best..
Evidently, a gleeful holiday begins with a magnificent tour package. And when you are travelling India, there is nothing better ..
For the first time visitors in India, the Golden Triangle is a great starting point to get the best introduction. In North India – Delhi, Agra, and Jai..
Golden Triangle Tour packages are among the best travel packages not just for people outside India but for Indian too who are wi.. The most visited places in India that are Delhi, Agra and Jaipur make a triangle on the map. Due to being mostly crowded by the ..
Often it becomes necessary to sit back and spend some time with god. It is important to get the harmony of body, mind and soul. The..
One of the most mysterious countries in the world, India is filled with extraordinary sights and places. With its long lines of ..
India offers a huge amount of cultural diversity that cannot be seen and experience in any other part of the world. 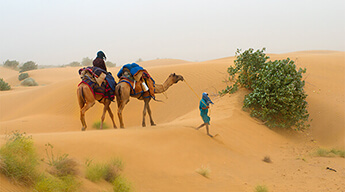 There are so..
With Unique India Tours enjoy your holidays in the midst of Thar Desert i.e Jodhpur also known as Blue city which perfectly showcases the architectural maste..
India is a popular travel destination in the world with a diverse traditional lifestyle, cultural richness and amazing forts and.. This exciting Golden Triangle Tour with Samode 6 Nights 7 Days is the refreshing event which caters opportunity to make you feel.. 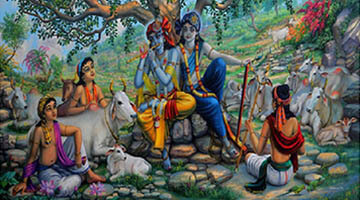 The Golden Triangle Tour with Mathura Vrindavan offered by Unique India Tours is a meticulously designed travel package to take ..
India is a place that reveals many of its aspects at the same time. 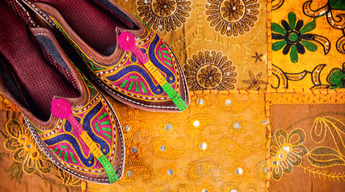 It is extravagant, vibrant, exotic, elegant, eclectic and be.. The cities of Delhi, Agra and Jaipur together form a triangle on the map of India, and thus, a tour to these destinations is kno.. 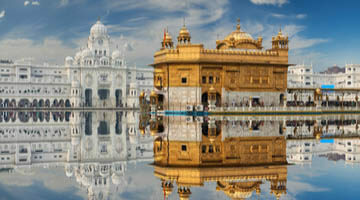 This historical Golden Triangle Tour with Mandawa 6 Nights 7 Days is the revering event which caters opportunity to make you fee..
Mystifying and dazzling are the two appropriate terms that describes India clearly. India is not only a country, but it is a who..
Come and explore the vibrant culture and beautiful traditions of three historical cities of India..
1. which are the top places to cover on Golden Triangle Packages? Delhi : Red Fort, Lotus Temple, Qutub Minar and Humayun’s Tomb. 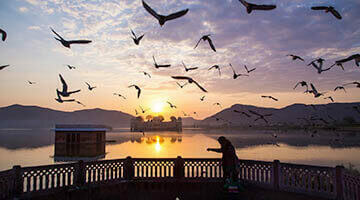 2. when is the best time to visit India golden triangle? Winter is the best time to enjoy Golden Triangle tour of India with November as the most pleasant weather to pick for the visit. The summers are very hot and the peak winters experience heavy fog and dry winds. 3. What are the top thing to do in Golden triangle tour? 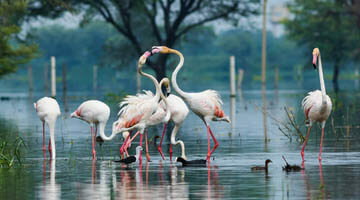 The visit to three top tourist destinations of India offer a variety of activities to enjoy. The best things to do in Golden Triangle tour are - touring the monuments in Delhi, rickshaw ride in Chandni chowk, a mandatory click on Diana Bench at Taj Mahal, taste Agra’s special sweet Petha, elephant ride at Amer Fort and enjoy Rajasthani culture at Chokhi Dhani. 4. Why is it called the Golden Triangle India? 5. What is the ideal duration for Golden Triangle Tour? 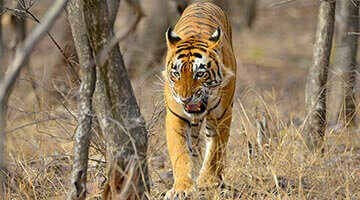 Golden Triangle tour of India can be covered in an ideal duration of 7 days. 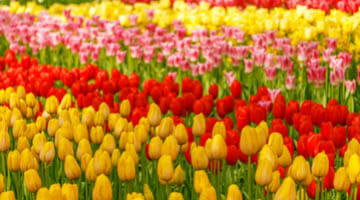 The three cities offer an incredible experience of the nature, culture and tradition of India. 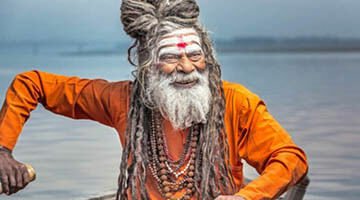 Share your ideas of travel, your interests and budget with Unique India Tours and get an instant quote. Our motive is to give complete customer satisfaction, so we offer you best services to cater all your travel needs. We arrange high-end hotels for you during your trip, as your comfort and privacy is our utmost concern. Experience safe and secure traveling with Unique India Tours as we arrange proficient chauffeurs and comfortable stay for you. We provide proficient guides, accommodation and excellent food service to meet all your travel needs while making your India Tour hassle free and comfortable with unlimited special offers.